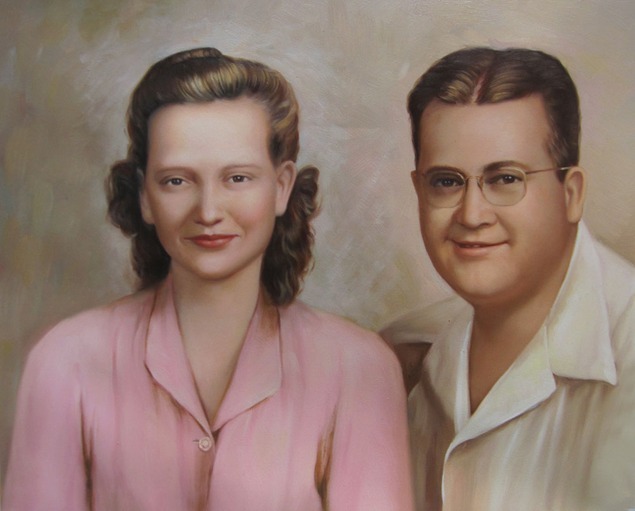 A Custom Handmade Anniversary Portrait Painted from Your Photo Is a Great 70th Birthday Gift Your Loved One Will Remember for Years to Come. If you have a parent, grandparent, aunt, or uncle turning 70 this year, you know there’s cause for celebration—and the need for the perfect 70th birthday gift to commemorate his or her special memories. 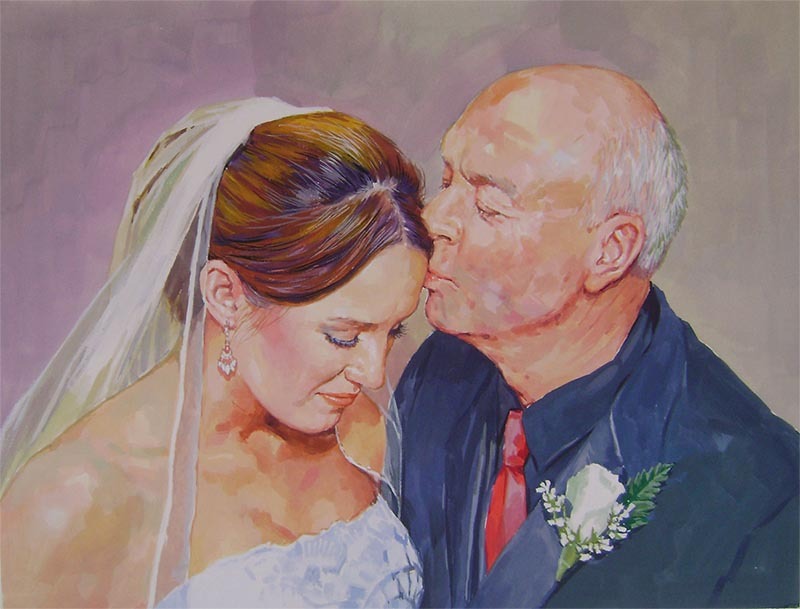 From a family photo at a retirement party to a photo from his or her youth, our talented artists can turn any photo you submit into a wonderful custom hand-painted portrait. 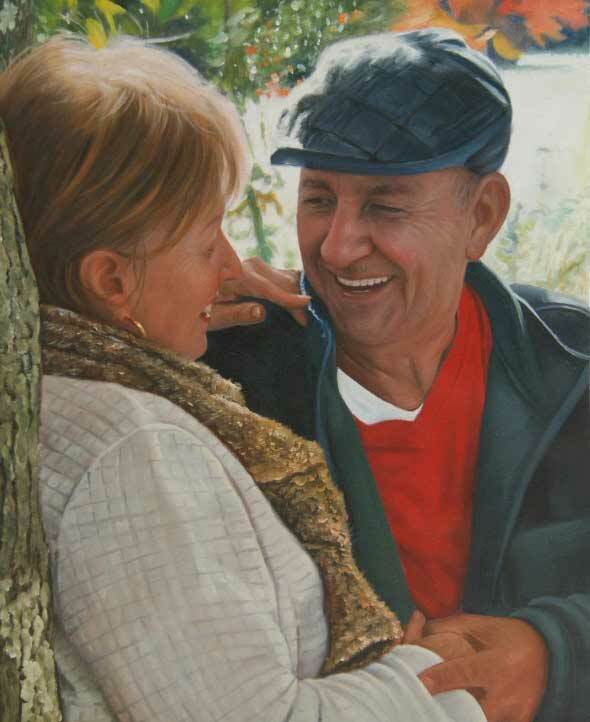 Imagine the look of surprise and gratitude on your loved one’s face when you unveil the portrait on the big day! 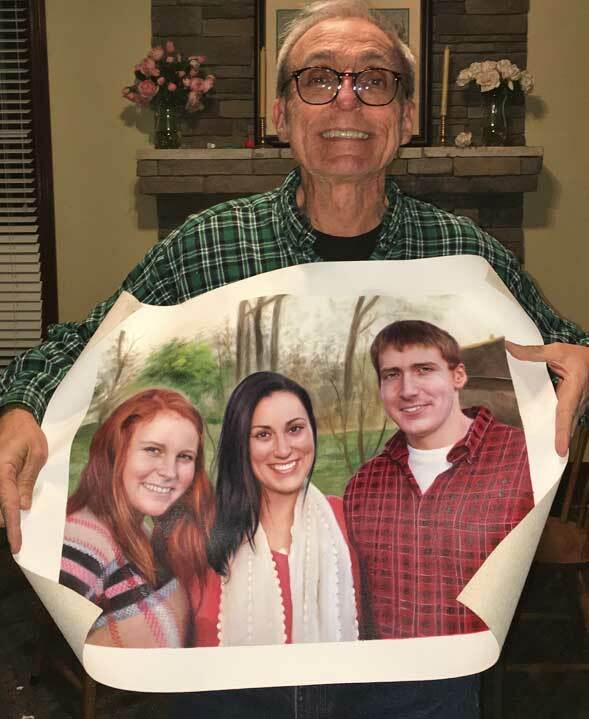 "This year, my brother, sister, and I wanted to do something special for my dad`s 60th birthday. He loves havin..."
"This year, my brother, sister, and I wanted to do something special for my dad`s 60th birthday. He loves having pictures of us around his office but we thought making one of those pictures come to life would be an awesome surprise for him. We all were so excited for the painting to arrive and loved seeing his face when he saw the portrait! One of the best gifts we have ever given him."